Will Simulation Software Help Improve Race Car Speeds? 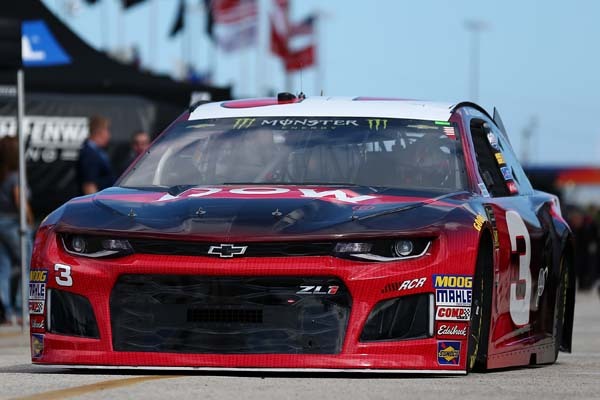 PITTSBURGH–Richard Childress Racing (RCR) hopes to improve racing times through a new, multi-year partnership with Ansys. The race car company will use ANSYS Pervasive Engineering SimulationTM software to more accurately predict machine performance and boost vehicle speed on the race track by enabling a true digital twin of a race car, Ansys said in a press release. A digital twin of the 2018 Chevrolet Camaro ZL1 will arm RCR engineers with a more complete understanding of how the physical race car will operate under race track circumstances that are nearly impossible to test. Sensors and actuators on the physical car are used to build a digital twin that enables data capture, real-time analytics monitoring, and predictive maintenance testing, empowering engineers to optimize vehicle performance before race days. Richard Childress Racing (www.rcrracing.com) used ANSYS multi-physics simulation software to develop and enhance the physical Chevrolet Camaro ZL1. With ANSYS, RCR reduced drag and optimized structural components of the car and suspension to improve speed. Through the expanded partnership, RCR's engineering and aerodynamics teams expect to further advance the car, refining aerodynamics and drastically reducing expensive wind tunnel testing time when compared to traditional testing methods. "Our competitive advantage is absolutely dependent on our ability to use simulation in all areas of our racing efforts," said Dr. Eric Warren, chief technology officer, RCR, in the press release. "Our partnership with ANSYS will empower us to implement a true digital twin and set a new benchmark of performance development and efficiency." "RCR is a true pioneer in innovation on and off the track," said Shane Emswiler, vice president and general manager of mechanical, fluids, and electronics, ANSYS. "Building a digital twin will deliver accurate, insightful, and reliable results that impact performance every week during race season. Using ANSYS Pervasive Engineering Simulation throughout the entire racecar lifecycle, RCR will race faster, safer, and more aerodynamic vehicles."